Amara Bangkok proudly presents a truly spectacular Valentine’s Day celebration on February 14, 2018, showcasing not only romantic gourmet menus but also seamless service and stunning panoramic views of Bangkok city. An exclusive 5-course dinner at AkaAza rooftop bar on level 26 where guests can enjoy a sumptuous dinner under the stars. Priced at THB 4,000++ per couple includes 5-course dinner, a glass of sparkling wine and a souvenir. In addition, guests can stand a chance to win a 3D2N accommodation voucher at Amara Singapore, terms and conditions apply. For the whole month of February, enjoy our delicious V-Day themed beverages served at the lobby, Element restaurant or AkaAza rooftop bar. Priced at THB 250++ per cocktail. A perfect setting for food lovers. On Valentine’s Day, indulge in our delicious dinner buffet spread with live entertainment to set the mood. 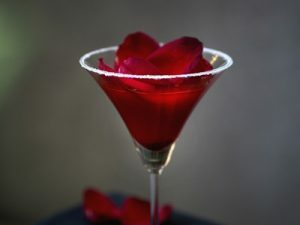 Priced at THB 888++ per person including drinks, coffee, tea and a rose of love. Guests can call 02 021 8888 or email fnb.bangkok@amarahotels.com for reservations or for more information.